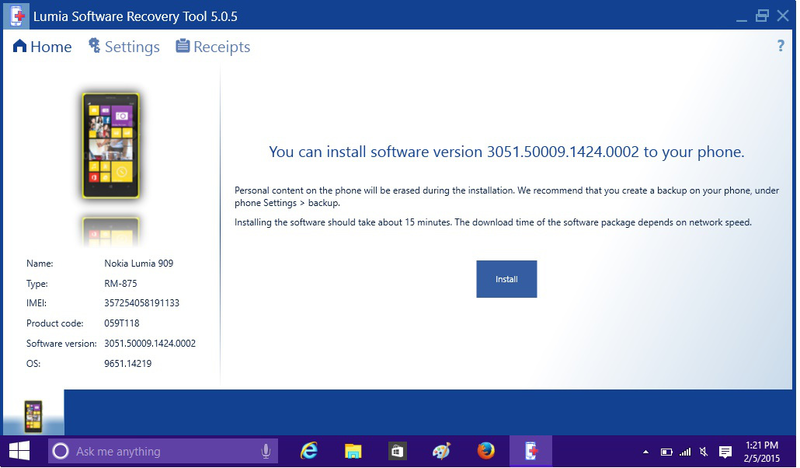 Installing Smartphone Software - How to Install Software on Your Windows Mobile Smartphone. One of the great benefits of owning a Windows Mobile Smartphone is the ability to easily add software to perform a wide array of tasks. While the operating system itself has games, utilities, PIM applications and more, there are hundreds of software titles from which to choose which add to the usefulness and value of your smartphone. In this tutorial, we'll take you though the basic steps of installing software on your Windows Mobile Smartphone. NOTE: The smartphone screenshots in this tutorial were taken from a Motorola device. Your screen may have a different shape, but the installation method shown is the same regardless of what Windows Mobile smartphone you're using. Before we begin, it's important to understand that there are two types of. Windows Mobile Smartphone installation files: (1) those which must be run and installed. Windows PC (usually . EXE files), and (2) those which must be transferred. CAB files). For installation instructions, select which type of. Most Windows Mobile software is installed to your smartphone through. Active. Sync (or Windows Mobile Device Center in Windows Vista), the synchronization utility installed on your Windows PC. Using your computer, download the. We recommend downloading to your Windows Desktop so you'll be able to find the file later: Run the installation file on your PC by double- clicking. Windows Desktop. This should be done while your smartphone is. The installation program will install files to your. If you have a flash memory card inserted in your Windows Mobile 5 or Windows Mobile 6 smartphone, a pop- up will ask you to select an installation destination. Choose "Device" to install to your smartphone's internal memory or "Storage Card" to install to the flash memory card. Choose the installation destination and allow the process to complete: The program is now installed. A soft reset may be. To run the program, locate it in your Start Menu by selecting Start and scrolling down or soft- keying More until you find its icon: You're finished! Some. Windows Mobile software must be installed directly from the. These software setup titles are usually distributed as . CAB files. The first step is to move. CAB installation file you downloaded to. First, sync the smartphone with your. Windows PC. After synchronization, select. Explore feature from Active. Sync's. main screen. The Explore feature allows you to browse. My Computer or Windows Explorer. Once the Mobile Device explorer window is open (see below), go to your Windows Desktop. CAB file is stored. Right- click it. When the menu. drops down, select Copy. Return. to the Mobile Device explorer window. Paste: The . CAB file will be copied to the smartphone. Allow this process to complete. Disconnect. your smartphone's sync cable. On your smartphone, open File. Manager in the Start. Menu: Find the . CAB file you copied to your device in File Manager. If you followed the instructions above, the file will be located in your My Documents folder. When you. The . CAB file will unpack and install itself on. BEST SMARTPHONE FOR ADBLOCKING SOFTWARe?!?! Forum; Solved Logitech software cant install on windows 7 Forum; My new PC can't install some software Forum. Download software for your BlackBerry smartphone & BlackBerry PlayBook. Sync files & maximize productivity with BlackBerry desktop & business software. - United States. Don't want to install that smartphone app? With Google, you may not have to. The search giant is experimenting with tech that lets you use apps without. In my work as Editor of Smartphone & Pocket PC magazine, I have to install a lot of third-party software on my device so that I can test and review products or edit. How to install Software in Smartphone Windows Mobile 6.0 Issuu is a digital publishing platform that makes it simple to publish magazines, catalogs, newspapers. To install or update Device Software on a BlackBerry smartphone without using BlackBerry Desktop Software, complete the following steps: Download and install the. Start Menu: Once the software has been installed, feel free to delete the . CAB file from your smartphone's memory if you wish. Installing Software to a Touchscreen Windows Mobile Smartphone or Pocket PC? This tutorial applies to non- touchscreen Windows Mobile Smartphones. For instructions on installing Windows Mobile Software to a touchscreen Smartphone or Pocket PC, click here. Was this tutorial helpful? Let us know. Still. Black. Berry Software - Download Black. Berry Software untuk Smartphone & Tablet. Perangkat Lunak Desktop Black. Berry untuk OS Black. Berry 7. 1 dan yang lebih lama. Black. Berry. В® Desktop Software syncs your organizer, music, Black. Berry. В® Desktop Software menyinkronkan organizer, musik, foto, dan file media dari Mac atau PC ke perangkat Black.